The New Monstroid2. 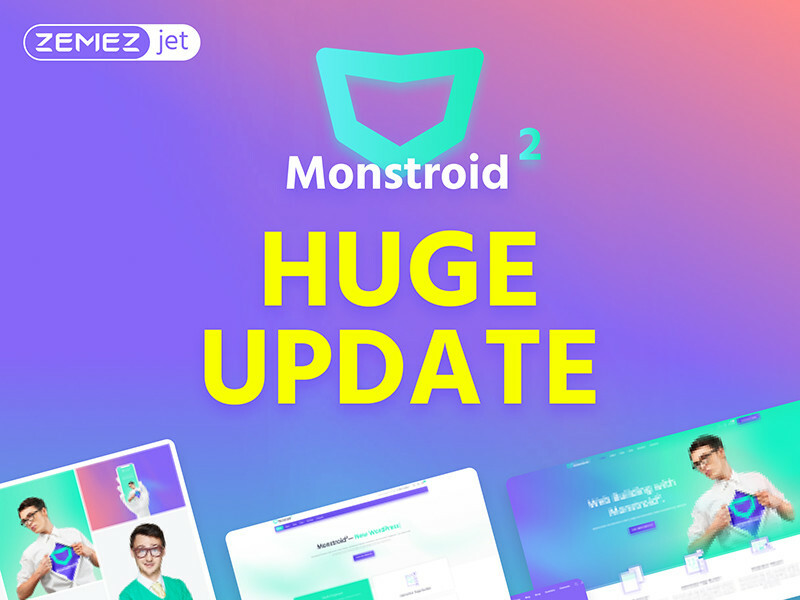 Everything in the powerful theme.Monstroid2 - multipurpose WordPress theme for web professionals and beginners. The theme has intuitive page builder and live customizer giving control over your theme with minimal coding skills. Mondtroid2 features must have tools for developers and is an excellent choice for web-studios, bloggers and e-stores. Monstroid2 at www.templatemonster.com is a device-agnostic, modern responsive design that is customizable. It's designed to work well on desktops, laptops, tablets and mobile phones. Monstroid2 - multipurpose WordPress theme for web professionals and beginners. The theme has intuitive page builder and live customizer giving control over your theme with minimal coding skills. Mondtroid2 features must have tools for developers and is an excellent choice for web-studios, bloggers and e-stores. Monstroid2 features 20+ Gorgeous skins with 1 added weekly! Also included with Monstroid2 is Elementor! No need to buy additional plugins with Elementor! Check it out!